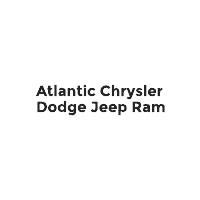 When you’re searching for your next new vehicle, you get the power of choice here at Atlantic Chrysler Dodge Jeep Ram in West Islip. That’s because our selection of vehicles covers all your bases with many different brands, and you’re going to find the standout vehicle you’re looking for, and get the backing from us in many other ways, as well. That’s why drivers on Long Island should make the trek out to see us here, and get started on finding your next new ride! We serve the greater West Islip, Amityville, Huntington, Wantagh, Smithtown and Patchogue areas. We house Dodge, Jeep, Ram and Chrysler models such as the Wrangler, Cherokee, and Grand Cherokee along with the RAM 1500, Dodge Charger, Chrysler 300 and Pacifica and much more, meaning you’re getting to see all kinds of vehicles in one place. Whether it is a crossover or SUV, sedan, sports car, minivan or truck, we have it here all under one roof. Our team is here to walk you through all the options and give you a rundown of the capabilities, technology, efficiency, features, safety and more on each vehicle, and let you browse and explore all each of them have to offer here in our showroom, and on the open road with a test drive. Along with our selection of new vehicles, you can find many different used cars from the Chrysler, Dodge, Jeep and RAM brands, plus other makes and models, and experience some savings with standout pricing. Of course, savings isn’t simply limited to used cars, we provide many specials on both new and used vehicles, and special programs for military, ALOA Security Professionals, and those of you who need a vehicle for your business, as well. Furthermore, with our lease and finance team here in West Islip, we make financing a Chrysler, Dodge, Jeep or RAM vehicle simple, as you’ll get all the options available, with current incentives, and we crunch the numbers to get you a payment plan that works, as we are able to finance through many institutions. And, we’re not done there, because when you do drive off with a new vehicle and a plan that works for you, our service team takes over and helps you with routine maintenance and repairs, to keep it in tip-top shape.